Our products use claims data to analyze episodes of medical care and uncover solutions to your key challenges. You can use our health care analytics to create value-based payment models, evaluate provider performance, identify care variations, improve network efficiency, and much more. What’s your biggest issue right now? We can help. Provides a complete solution for analyzing health care episodes and treatment variations. Use it to identify your best opportunities to improve health care quality and value. Offers everything you need to create risk-adjusted budgets and easily track actual health care costs. Use it to implement a fair, scalable bundled payment program. Delivers detailed reports on the types, amounts, and key drivers of low-value health care. Use it to identify sources of low-value care, why it happens, and how to reduce it. Offers insights to identify your network’s low and high performers. Use it to monitor overall network performance and take targeted action to improve health care efficiency and quality. Enables you to request a custom study on your key health care issues. Use it to gain the specific knowledge you need to take action and make meaningful improvements. Identify patients and providers with the greatest variations in costs and quality. Uncover episodes with best opportunity for improvements. Get detailed per-patient reports, drilling down to the claim line level to know where all costs were incurred. Track avoidable complications and their potential causes. Identify provider contributions to low-value care. Track low-value care against benchmarks. Help ensure delivery of needed care. Gain insights on how to shift referral patterns to reduce network leakage. Improve overall network efficiency and quality of care. Develop an analytic action plan and commission reports on the topics most important to your organization. 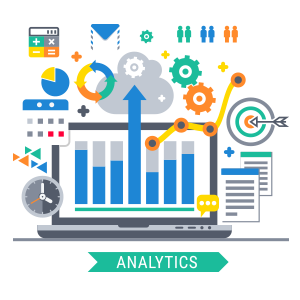 Benefit from insights you can’t get from any other analytics solution. Reveal areas where health care spending can be reduced, and quality of care improved. Identify high utilizers and best providers. Create prospective, severity-adjusted budgets based on historical data analysis. Get ongoing analysis comparing budgets to actual costs. Compare provider cost and quality performance. Understand provider referral patterns and their impact on care costs and quality. Reveal areas where health care spending can be reduced, and quality of care improved. Identify best episode candidates for bundled payment programs. Compare provider cost and quality performance. Improve overall network performance. Identify local and regional Centers of Excellence. Separates typical costs from costs related to potentially avoidable complications (PACs). PACs are deficiencies in care that cause harm to patients, and account for a significant percentage of spending on chronic conditions, acute hospitalizations and procedures. Assigns health care services and associated costs to specific episodes, splitting the costs among relevant episodes. This creates great transparency in how costs are assigned to episodes, eliminating the “black box” problem found in all other groupers. Associates episodes to one another in a clinically relevant way to help progressively build a comprehensive view of patient care management. This logic helps identify the potentially inappropriate use of procedures, while allowing the creation of severity-adjusted budgets for poly-morbid patients. These analytics form the backbone of PROMETHEUS Payment, a bundled payment model developed by the Health Care incentives Improvement Institute, which joined forces with Altarum in 2017. The design team included experts in health care law, quality measurement, economics, benefits, operations, and related fields. The Robert Wood Johnson Foundation provided grants to create, evaluate and pilot the model. The Commonwealth Fund, New York State Health Foundation, and Colorado Health Foundation also provided critical support. Today, PROMETHEUS Analytics are working to improve health care quality and value for health systems, Medicaid organizations, health plans and employers across the U.S.
After introducing a high deductible health plan, a large regional employer used PROMETHEUS Analytics to discover that some employees with chronic conditions had begun cutting back on ongoing physician care. This could potentially lead to higher rates of potentially avoidable complications (PACs), and therefore higher costs. With this information, the employer can take steps to address health plan design and incentives, and help ensure that their high-risk employees receive all the care services they need to manage their conditions. The State of Connecticut’s Medicaid program used PROMETHEUS Analytics to uncover the main reasons for variations in episode costs of care. The program was also able to identify the impact of certain prescription drugs on reductions of potentially avoidable complications (PACs), and understand how health systems compared to one another in managing pregnancies and deliveries. Armed with this data, the Medicaid program can take targeted action to address these critical patient care issues. Neonatal Intensive Care Units (NICU) are typically reserved for infants with serious issues that require highly specialized care. However, analyses of Medicaid claims using PROMETHEUS Analytics found that NICU designation varies widely among facilities. These variations in rates of use, costs, and lengths of stay can seriously impede a facility’s ability to achieve savings under value-based bundled payments. By better understanding this variation and its sources, facilities can take steps to standardize assignment of newborns to NICU and, by extension, reduce costs of postpartum care. A large New England health system used PROMETHEUS Analytics to measure its cost performance for several episodes of care. The health system found it beat the market average consistently for routine colonoscopies. However, after learning it placed below average for gall bladder surgeries and knee arthroscopies, the organization directed significant resources toward those service lines and populations. After decreasing costs associated with potentially avoidable complications (PACs) by 35%, the health system soon began to outperform market averages for these two procedures as well. To test value-based payment programs, the Pennsylvania Employees Benefit Trust Fund (PEBTF) piloted a bundled payment model for total knee and hip replacements. PROMETHEUS Analytics were used to guide program design, create episode of care budgets, and evaluate quality data. The pilot yielded a wealth of knowledge around budgeting, risk management, care processes, and provider integration. For example, the data showed that including rehabilitation care in the payment model improved outcomes and value significantly. Overall, patient evaluations of their care were positive, and costs outside of inpatient stays declined an average of $4,189. To rein in Medicaid costs, the New York State Department of Health (NYS DOH) decided to try value-based delivery and payment models. PROMETHEUS Analytics were used to create a roadmap for design and implementation, and identify the features most likely to lead to success. To meet aggressive improvement targets, payments are no longer based on services delivered, but on results achieved in system transformation, clinical management and population health – value rather than volume. Horizon Healthcare Services of New Jersey used PROMETHEUS Analytics to implement bundled payments for nine conditions and procedures. More than 12,000 care episodes were completed under the program. Key benefits included quicker average recovery times after orthopedic surgeries, lower rates of unnecessary C-sections, lower costs for hip replacements, and fewer readmissions after knee arthroscopy. Costs were contained well enough for Horizon to pay out $3 million in shared savings to 51 participating specialty medical practices. Wear the Cost is an initiative by the Maryland Health Care Commission (MHCC) to make health care cost and quality information easily accessible. The website, wearthecost.org, currently covers hysterectomy, vaginal delivery and knee and hip replacements. PROMETHEUS Analytics are used to produce the site’s cost and quality information. Consumers can quickly compare average costs at multiple facilities – and see how much is due to potentially avoidable complications. This is helping patients make informed, value-driven choices to bring down costs and reward top providers. Altarum is proud to be welcomed as a Preferred Vendor in the Association for Community Affiliated Health Plans in creating a high value, sustainable and equitable health care system through payment and health benefits innovation, behavioral incentives, and consumer engagement. The Association for Community Affiliated Plans (ACAP) is a national trade association with a mission to strengthen not-for-profit Safety Net Health Plans in their work to improve the health of lower-income and vulnerable populations. Collectively, ACAP plans serve more than seventeen million enrollees, representing nearly half of all individuals enrolled in Medicaid managed care plans. Community Health Choice (CMC), a nonprofit Medicaid HMO, joined a maternity care bundled payment pilot to encourage better prenatal care, discourage C-sections, and reduce the number of premature and low birth weight babies. PROMETHEUS Analytics were integral to the program’s design, implementation and measurement. The systematic collection of quality data showed the importance of treating prenatal care, labor/birth, and postpartum care as connected phases of one episode, rather than three separate episodes. This continuum of care, coupled with bundled payment, addresses important structural issues that can lead to improved outcomes. Guidelines from the American College and Congress of Obstetricians and Gynecologists recommend vaginal hysterectomy (VH) as the preferred treatment for benign gynecological disease. However, analyses using PROMETHEUS Analytics found that rates of alternative procedures, which have higher prices and greater risk of severe complications, consistently exceed that of VH, sometimes by 50% or more. This insight opens a significant opportunity to reduce costs and patient harm by switching to the more clinically recommended treatment.